Giving kindness is a gift within itself. But there are also gifts you receive when you are the receiver of Kindness. 2. Healing– When kindness is given it opens a door to receive healing. “He comes alongside us when going through hard times and before you know it he brings us alongside someone else going through hard times so that we can be there for that person just as God has been for us.” (2 Corinthians 1:4 MSG) I love this Bible verse. It depicts such a beautiful picture of how God uses our pain to come alongside others and help them when going through hard times. Pouring out God’s love to others even when you are going through a hard time helps you heal as well. Something happens when you come alongside others, You become an Overcomer through Kindness. God promises us that by his stripes we are healed (1 Peter 2:24). 4. Eternal Satisfaction– Kindness is one of those gifts that keeps on giving. Kindness has no limits and transcends all borders. It feels good to give selflessly not wanting anything in return. It is a gift that fulfills and eternally satisfies. It is a gift that allows you to live in the power of contentment. “You open Your hand And satisfy the desire of every living thing.” (Psalm 145:16) God’s lovingkindness is never ending. It is a gift that will fill you abundantly more, lasting eternally and forevermore. His kindness is a gift meant to be shared with others. 5. Life– The ultimate gift, the gift of life. We have been given the gift of life because of what God has done for us. “For the wages of sin is death, but the gift of God is eternal life through Christ Jesus our Lord.” There are times I still can’t believe God did such a selfless act by sending his son Jesus to die on the cross for my sins, so I could have life eternally with him. It is the ultimate gift of kindness one could ever give. One that that conquers death, one that eternally satisfies and is everlasting. Nothing in this world can ever change what God has done for us. What a beautiful gift he has given us. God’s gifts are meant to be shared with others; His kindness, his love, his message of hope and healing, his gift of eternal life in heaven. If you never shared God’s lovingkindness that he gives you how will anyone ever know the kindness from their Savior? Let’s face it, we are human! There are times we get grumpy! You are either overworked, tired, overcommitted and it takes all you have just to make it through the day. The last thing you feel like doing is putting a smile on your face and being kind to someone. Here are 7 reminders when life gets the best of us. 7 reminders of how to be kind (even when you don’t feel like it). This concludes the series on Kindness. If you missed any of the live devotionals you can now view them on youtube (Click here). Next week will start the series on The Joy of Less! It will feature our story that was published in “Chicken Soup for the Soul: The Joy of Less.” The blog series will tell our God story of why we are here living in Alaska and all that God has done in our lives. I will also have tips of ‘How you Become More with Less,’ De-Cluttering our Lives, the Power of Contentment and More! There will also be a Giveaway a FREE Copy of The Joy of Less!!! 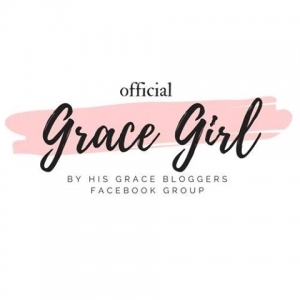 To receive the latest blogposts Subscribe to my blog and receive a weekly devotional sent right to your inbox or like my Author Facebook page for the latest posts! How has God’s kindness affected your life? I would love to hear from you! Please Share, Leave Comments Below! Did you like this blogpost? Please share with others!